HRANA News Agency – After reports of violent inspections and sever physical assaulting of the prisoners, Mohammad Mardani, the head of Rajai Shahr Prison of Karaj, in a directive requested the heads of wards in this prison to impose restrictions on buying and repairing electronics, visits, foods and books. These restrictions are imposed while the stores in this prison do not sell the essential food items such as red-meat, chicken, fish, fruits and vegetables, in other hand it is approximately a month that the prison’s bread maker machine is also broken. In respond to the prisoners’ complains, the prison authorities have ridiculed them by saying “This is prison and you are being punished, this is not a hotel”. 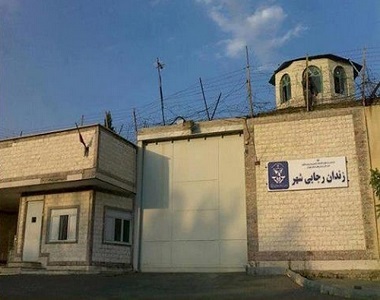 According to the report of Human Rights Activists News Agency (HRANA), based on the directive issued by the director of Rajai Shahr Prison Daryoush Amirian, and signed by the head of this Prison, Mohammad Mardani and given to the heads of the wards of this prison, there will be new restrictions imposed on the prisoners of this prison. First – Under no circumstances the permission to buy refrigerator, TV, air conditioner and other electronics from the Prison store or outside the prison, will be granted. Second – The contract between the electrician and the Prison has come to an end, and he has been transferred outside the prison, therefore the electronics will not be repaired. Third – Granting visits to second-degree relatives has been banned and will not be possible. Forth – Obtaining any food from outside the prison is strictly prohibited, all food items should be purchased through the Prison store. Fifth – Family members may not visit in one day simultaneously or together. Sixth – As for now no new book will be permitted to enter the Prison, per each book that enters the prison at least one old book has to leave the prison to prevent the accumulation of books. It’s worth mentioning that many observers believe applying such restrictions in a notorious place like Rajai Shahr Prison where various types of drugs and even cold weapons are traded easily among prisoners, will help creating a black market and empowers the Mafia gangs of the Prison. This directive is issued while just last week HRANA reported, with the order of the head of the prison approximately 100 of the anti-riot guards of the Rajai Shahr Prison of Karaj Under the pretext of inspection harshly physically attacked and assaulted the prisoners and destroyed their belongings. The inspections were carried out in several stages within 24 hours, so that one of the halls was raided in two stages, even at 2 am. Prisoners’ belongings including televisions and some of the walls in the prison cells were destroyed during the inspection. Despite these acts of violence the guards did not find or size any specific illegal item. On one hand, the restrictions imposed will make living more difficult for the prisoners because it is more than three months that the stores in the various wards do not sell the essential food items such as red-meat, chicken, fish, fruits and vegetables, in other hand it is a month that the prison’s bread maker machine is also broken. In respond to the prisoners’ complains, the prison authorities have ridiculed them by saying “This is prison and you are being punished, this is not a hotel”.